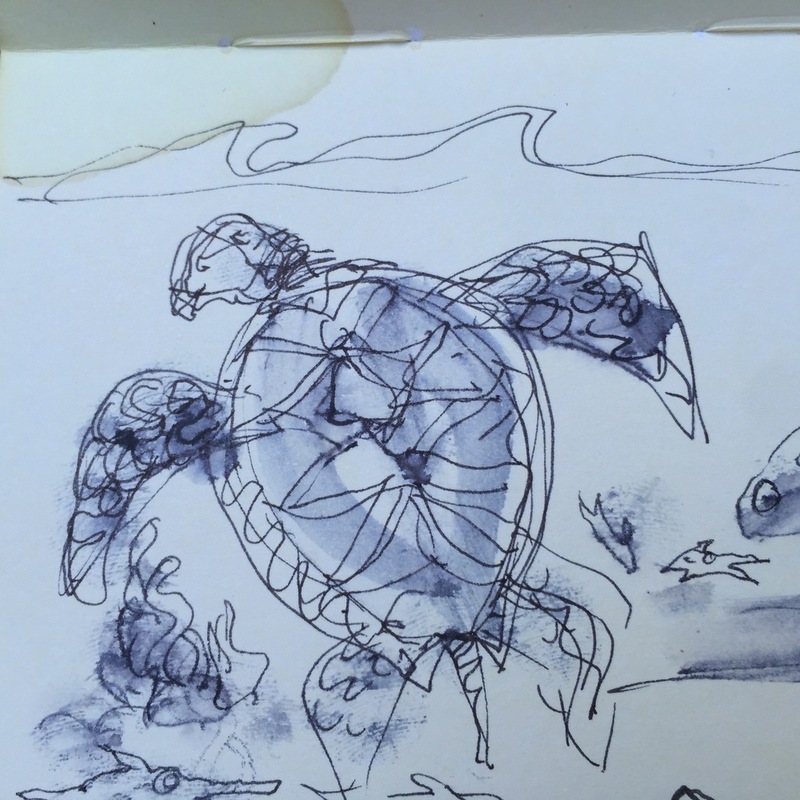 The imagery for ‘Turtle Play’ captures the underwater habitat of Bermuda and the sea turtles who call this place home. Feeding on the abundant sea grass beds, these marvelous creatures frolic in a water garden paradise shared by sea horses, sand dollars and jelly fish. 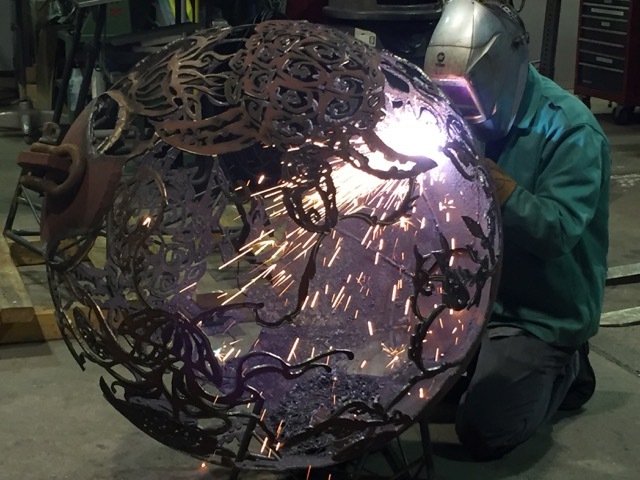 Specifications: The metal sphere fire pit ‘Turtle Play’ Fireball is 28” in diameter and is designed to be wood burning. 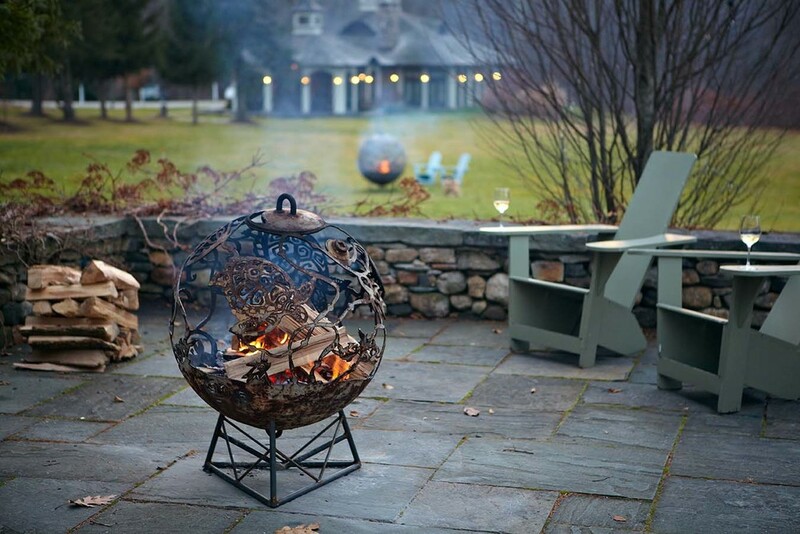 The finish is natural and weather-worn.